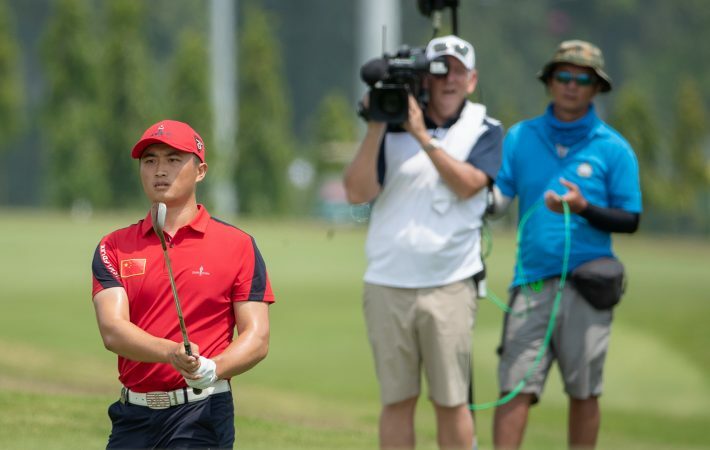 Defending champion Lin Yuxin charged to the top of the leader board in spectacular fashion and set a new course record during the rain-disrupted penultimate round of the Asia-Pacific Amateur Championship on Saturday. 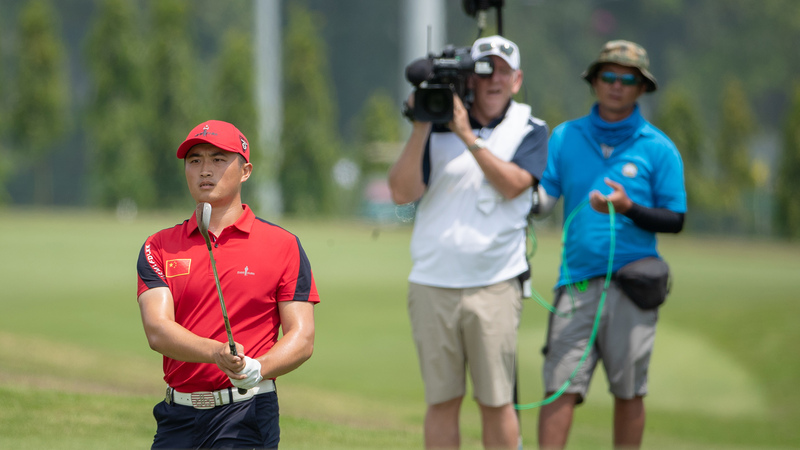 China’s Lin, who won by three shots following a final-round 65 at Royal Wellington Golf Club last year, fired an eight-under-par 62 – tying the record for the lowest round in AAC history – to take a one-shot lead at 10-under-par heading into Sunday’s final round at the New Tanjong course of Sentosa Golf Club. 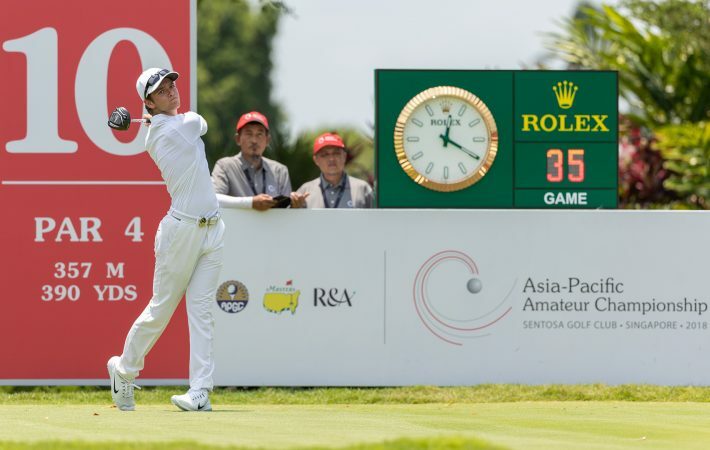 Lin completed his round just before weather moved into the area, causing a two-hour delay in play. 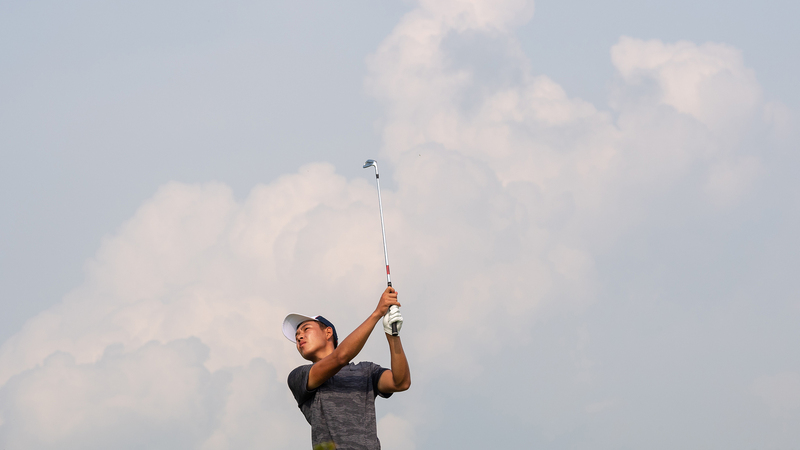 It is tightly packed leaderboard with 10 players within three shots of the leader. 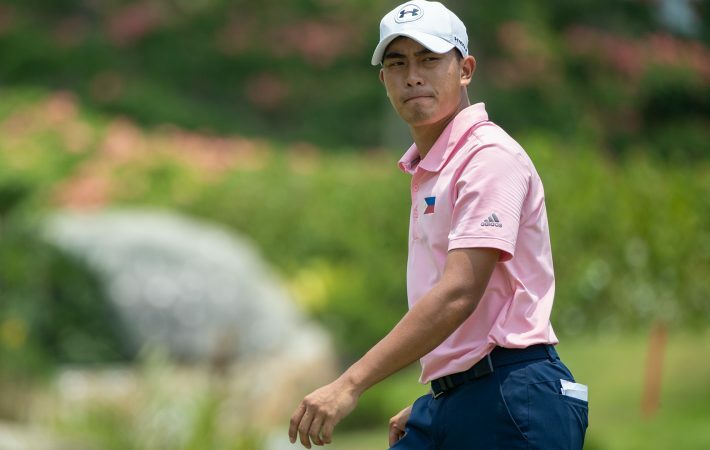 Lloyd Jefferson Go (69) of the Philippines is in second place at nine under par, while Thailand’s KK Limbhasut (68) moved into a tie for third place at eight under par alongside China’s Bai Zheng Kai and Jin Cheng and Takumi Kanaya and Keita Nakajima from Japan. 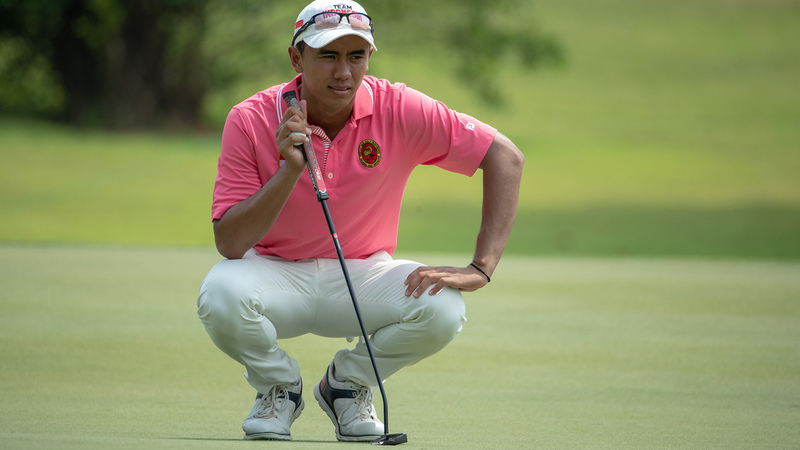 Four players, including India’s Rayhan Thomas (67) and China’s Andy Zhang (64), are tied for eighth place three shots behind the leader. 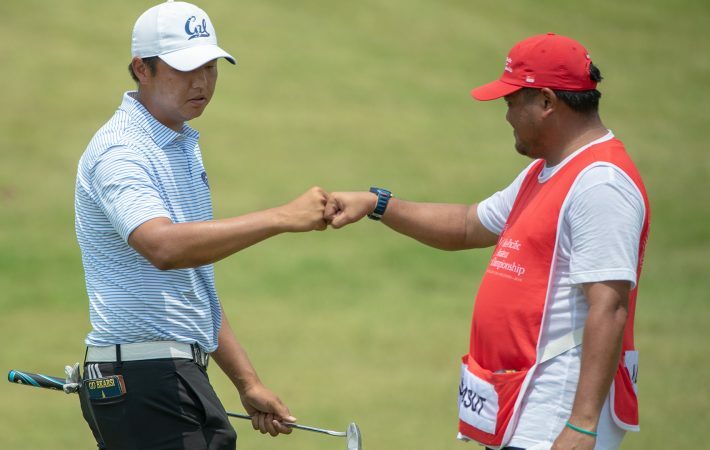 A win tomorrow would make Lin only the second player in the first ten years of the tournament to successfully defend his title after Japan’s Hideki Matsuyama (2010 and 2011). 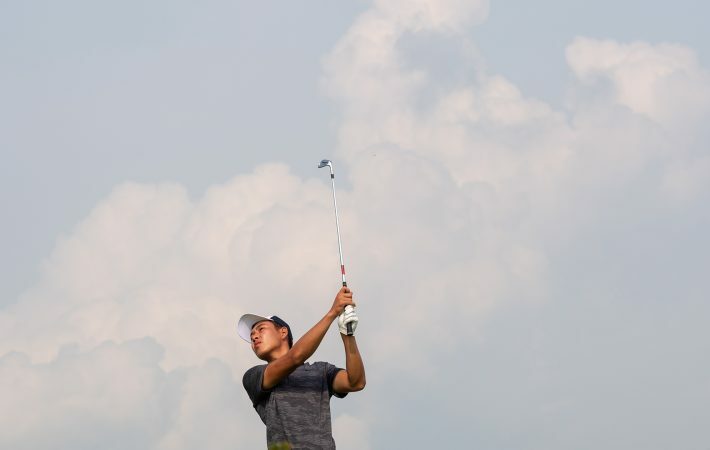 Lin started the day six shots adrift of the overnight leaders, Go and compatriot Jin, and got himself into the mix early with seven birdies in his first 10 holes. A bogey on the 12th was his only hiccup of the day but he made up for that with further birdies on the 14th and 16th holes to beat his previous career-best round of 65 in Wellington last year. 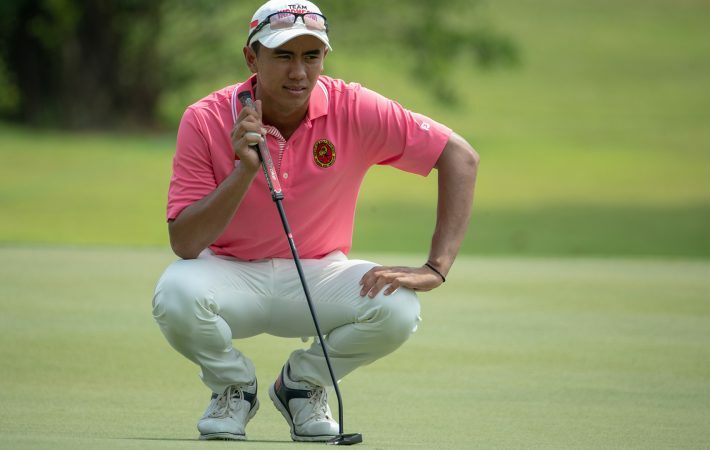 The left hander, who celebrates his 18th birthday next week, credited his putting for the low score. “I have been striking the ball really well all week. I was just waiting for the putts to drop. 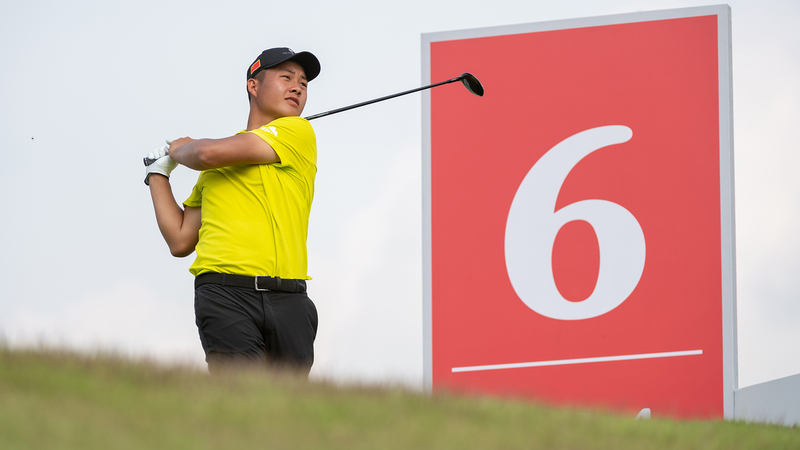 I did some work yesterday afternoon, really found my rhythm on the greens, and there you go, eight under.” said Lin, currently ranked 115th in the world after struggling with a wrist injury much of this year. 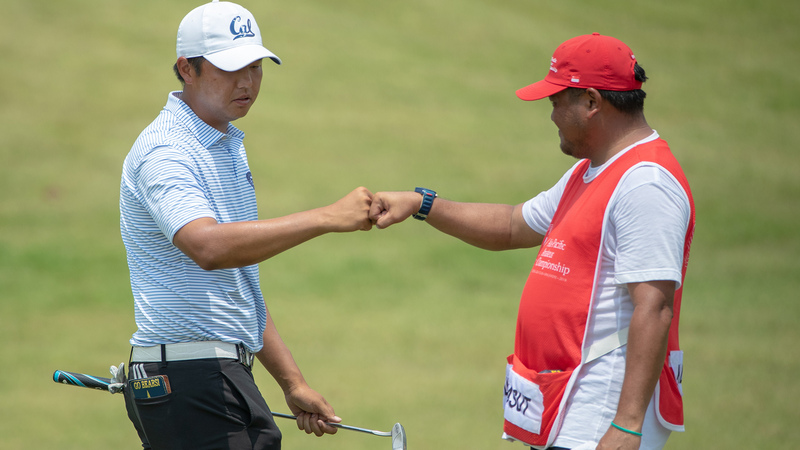 “Tomorrow, I am just trying to keep doing what I’m doing and try to stay aggressive out there, attack pins when I have to and hopefully have another great round tomorrow. 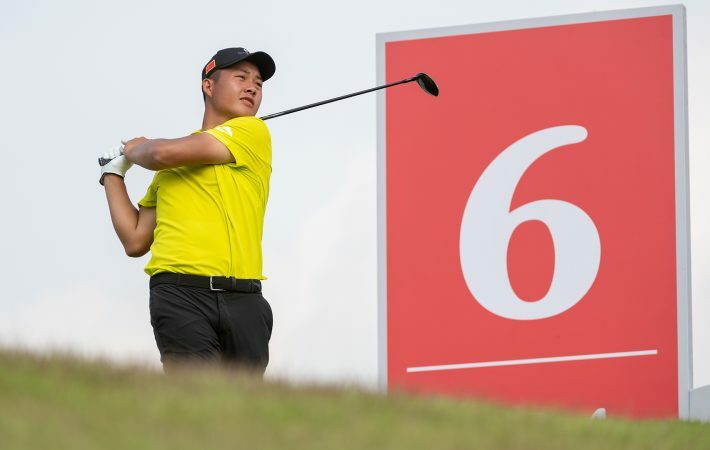 Go continued to struggle with the par-4 eighth hole where he made bogeys in the first two rounds, and a double bogey on Saturday. 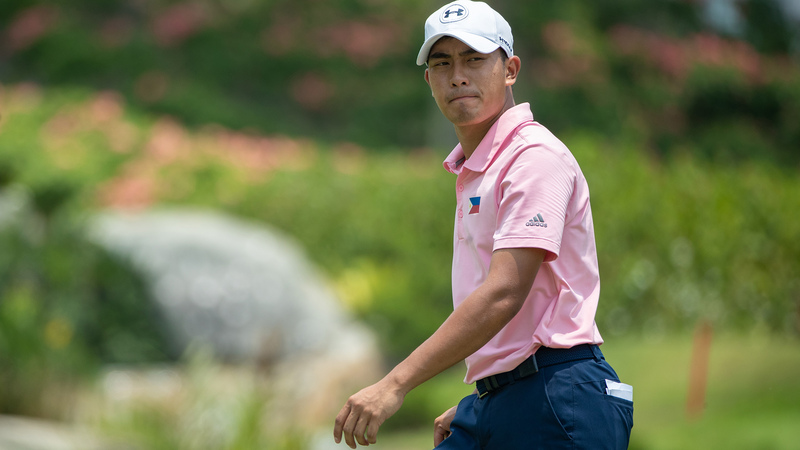 The 23-year-old Filipino said after his round: “I would have loved to be one shot in the lead, but one shot behind is not bad either. I know I just have to go out there and play good golf. 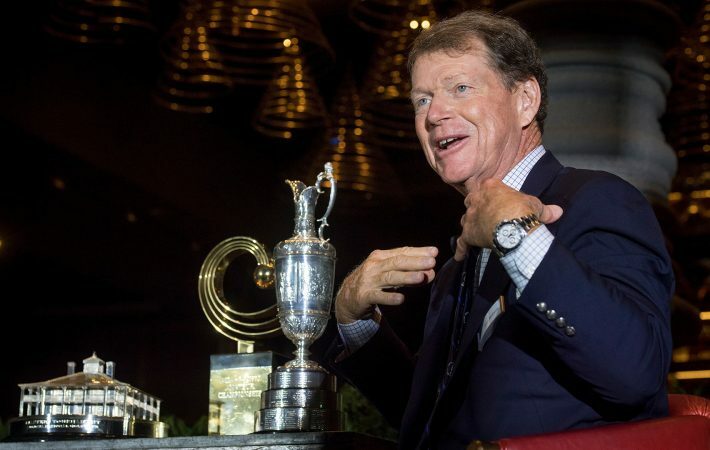 “I hit the ball out of bounds on the eighth and got away with a double when it could have been worse. I just tried to stay patient after that. I know there are a lot of birdie holes out there.